You can now use Microsoft Office 365 on Chromebooks. Here’s how. Chromebooks have quickly become an incredibly popular tool in schools. However, this has previously limited users to only Google’s productivity tools. One of the most common complaints that I hear about Google Apps for Education tools (Gmail, Docs, Slides, etc), is that they are not as robust as those you find in the Microsoft Office Suite. Now, with the recent upgrades to Office Online andOffice 365, it is possible navigate to the full Office suite using a Chromebook – or any other device! Office Online and Office 365 offer new, web-based version of Microsoft tools and allows users to create and edit documents, presentations, spreadsheets, and more using only your browser. Another great feature of these tools is that it allow you to collaborate with others (even if they don’t have a subscription). All of your Office 365 creations will be saved in your OneDriveaccount in the cloud, so no need to worry about saving it on your machine! In order to use these new office tools, you will need to have either an Office 365 subscription ($99/year for a home and family edition) or sign up for a free Microsoft account at Office.com (note that if you have a hotmail account, those credentials will also work). An Office 365 subscription allows you to download the latest version of the software to your device as well as to use Mobile Apps for free. Recently, Microsoft extended its traditional educational license to include a subscription to Office 365 for Education. So if you have Office on your school computer, then you have the ability to create an Office 365 account and access more robust features in the Office 365 suite; speak to your IT manager to see what options may be available. To access the Office Suite online, go to: login.microsoftonline.com and login with your personal or school credentials (again, check with your IT manager). Once you are logged in, you will see the option to access all of your available Office tools and then select the tool that you want to use. If you are using an Office 365 Education account, your administrator can determine which tools will be made available and which may not be turned on. As an example, in my domain, I cannot access Mail or Calendar because we use a different system and Sites and Tasks have been turned off completely. However, here are a few highlights of what is possible with Office 365 on anyChromebook or Computer. Not only can you now easily access your email via the web, there’s even aChrome app. Like Gmail, Outlook now threads conversations, keeping all messages and replies together. From the web, it is possible to read and reply to messages as well as to organize emails into folders. A particularly handy feature is the green “replied to” indicator to show when exactly you responded to a specific message. Much like with Google Calendars, through Office 365 and Office Online you can now also access any personal or shared calendars. 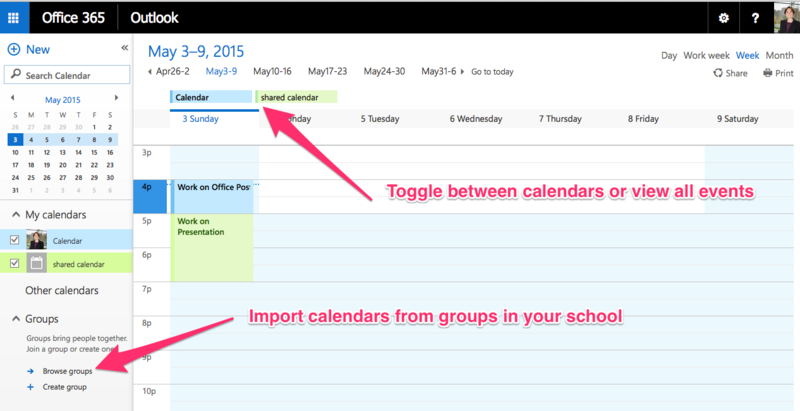 Students can subscribe to class calendars and even create shared calendars for specific courses or groups. A really nice feature is the ability to view different calendars as tabs. This way, you can view everything or only the events on specific calendars. If your school uses a lot of shared calendars, then this could be extremely helpful for scheduling purposes. A great, new feature of the Office Online tools is the ability to add collaborators to any Word, PowerPoint, or Excel file! Simply click the Share icon in the top right corner. A new window will pop up giving you the option to share with view orediting privileges. You can share by email or via a link (no need for a subscription)! Once the document is shared, you can collaborate in real time, from any device (including your Chromebook)! All of the Office tools have robust online features and sharing capabilities. You can even collaborate on a PowerPoint Presentation, include the fancy transitions, and even present directly from the cloud! Expanding Office beyond a hard drive and into the cloud gives Chromebook users greater options, more collaborative abilities, and access to a more robust suite of tools to expand their learning environment. Look for more information about these tools in coming posts. This entry was posted in Education, Educational Resources, Educational Technology, Microsoft, Technology and tagged Chromebook, Ed Tech, Education, Educational Technology, Microsoft, microsoft office on June 3, 2016 by Jennifer Carey. Until recently, in the world of online collaboration, Microsoft has been decidedly lacking. However, they have made impressive strides in online and cloud computing tools over the past year. For example, you can now easily create, edit, and collaborate on Excel spreadsheets and workbooks. This can be accomplished using the new Office Online or Office 365. It’s important to note that while Office Online is free, Office 365 is a paid resource ($99/year home and $69/year personal annual subscription; K-12 institutions have their own pricing tiers) and will give you greater access to resources, including free full-use of Mobile and Computer apps. Microsoft recently extended its educational Microsoft Office license to include its online 365 service for free to schools. This means that if your school has a Microsoft license, you already have access to this tool. Just check with your IT administrative team to learn how to log on and access it. Navigating Office Online is a little different than the local tools on your computer. However, they are quick to figure out. To log in, go to Office.com(if you have a free Microsoft account or Office 365 account) or go tologin.live.com to create an account. Today, we’re going to explore Excel, so click on the Excel icon to get started. 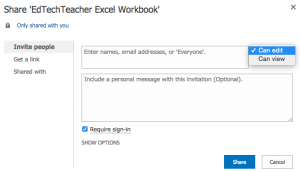 A new window will open and, just like the desktop version, you will be given the option to access your recent workbooks or to create a new one using one of Excel’s workbook or spreadsheet templates. 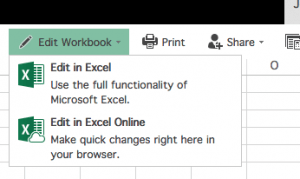 If you select a workbook that you have recently been working on, then you will need to click on Edit workbook → Edit in Excel Online (for collaborative features) or Edit in Excel (to open on your desktop for more advanced functionality). Once you do this, you will have access to many of Excel’s robust tools. You can can format spreadsheets and columns, include complex functions, create charts and graphs, and more! With a school or paid-for subscription to Office 365, you even have unlimited storage for working with Excel online. O ne of the best features of Office Online and Office 365, however, is something that you won’t find on the traditional Microsoft desktop tools (at least not yet): the ability to collaborate in real time with others! No more emailing a file back and forth, you can simply click the “share” icon and either share via email address with view or edit privileges or share with a link (again view or edit privileges). If you share via a link with editing privileges, the other user does not even need an Office Online or Office 365 account! 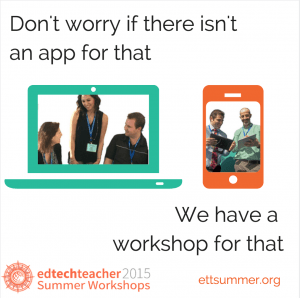 This is a great way to collaborate with others who don’t have access to Microsoft products. This entry was posted in Education, Educational Resources, Educational Technology, Microsoft and tagged Ed Tech, EdTech, Education, Education Technology, Educational Resources, Educational Technology, Excel, Microsoft, microsoft office, Office, Office 365 on October 26, 2015 by Jennifer Carey. This can be accomplished using the new Office Online orOffice 365. It’s important to note that while Office Online is free, Office 365 is a paid resource ($99/year home and $69/year personal annual subscription; K-12 institutions have their own pricing tiers) and will give you greater access to resources, including free full-use of Mobile and Computer apps. Navigating Office Online is a little different than the local tools on your computer. However, they are quick to figure out. To log in, go toOffice.com (if you have a free Microsoft account or Office 365 account) or go to login.live.com to create an account. Today, we’re going to explore Excel, so click on the Excel icon to get started. This entry was posted in Education, Educational Resources, Educational Technology, Microsoft and tagged Education, Education Technology, Educational Resources, Educational Technology, Microsoft, Office 365 on July 3, 2015 by Jennifer Carey. Office 365 on the Web & On Your Chromebook! This is reblogged from my post on Daily Genius. A special thanks to Jonathan Wylie and his Office 365 and Office Online expertise! I strongly encourage you to check out his blog here for helpful hints, tricks, and ideas on how to integrate technology in your classroom or school. 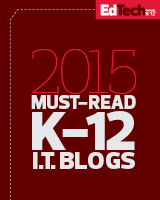 Chromebooks have quickly become an incredibly popular tool in schools. However, this has previously limited users to only Google’s productivity tools. One of the most common complaints that I hear about Google Apps for Education tools (Gmail, Docs, Slides, etc), is that they are not as robust as those you find in the Microsoft Office Suite. Now, with the recent upgrades of Office Online and Office 365, it is possible navigate to the full Office suite using a Chromebook – or any other device! Office Online and Office 365 offer ais the new, web-based version of Microsoft toolsOffice and allows users to create and edit documents, presentations, spreadsheets, and more using only your browser. Another great feature of these toolsOffice 365 is that theyit allow you to collaborate with others (even if they don’t have a subscription). All of your Office 365 creations will be saved in your OneDrive account in the cloud, so no need to worry about saving it on your machine! In order to use these new office tools, you will need to have either an Office 365 subscription ($99/year for a home and family edition) or sign up for a free Microsoft account at Office.com (note that if you have a hotmail account, those credentials will also work). An Office 365 subscription allows you to download the latest version of the software to your device as well as to use Mobile Apps for free. Recently, Microsoft extended its traditional educational license to include a subscription to Office 365 for Education. So if you have Office on your school computer, then you have the ability to create an Office 365 account and have access to more robust features in the Office 365 suite; speak to your IT manager to see what options may be available. To access the Office Suite online, go to: login.microsoftonline.com and login with your person or school credentials (again, check with your IT manager). Once you are logged in, you will see the option to access all of your available Office tools and then select the tool that you want to use. If you are using an Office 365 Education account, much like with Google Apps, your administrator can determine which tools will be made available and which may not be turned on. As an example, in my domain, I cannot access Mail or Calendar because we use a different system and Sites and Tasks have been turned off completely. However, here are a few highlights of what is possible with Office 365 on any Chromebook or Computer. Much like with Google Calendars, through Office Online and Office 365 you can now also access any personal or shared calendars. Students can subscribe to class calendars and even create shared calendars for specific courses or groups. A really nice feature is the ability to view different calendars as tabs. This way, you can view everything or only the events on specific calendars. If your school uses a lot of shared calendars, then this could be extremely helpful for scheduling purposes. A great, new feature of the Office Online tools in Office 365 is the ability to add collaborators to any Word, PowerPoint, or Excel file! Simply click the Share icon in the top right corner. A new window will pop up giving you the option to share with view or editing privileges. You can share by email or via a link (no need for a subscription)! This entry was posted in Education, Educational Resources, Educational Technology, Google, Microsoft, Technology and tagged Chromebook, EdTech, Education, Education Technology, Educational Resources, Educational Technology, Google, Microsoft, Office 365 on May 11, 2015 by Jennifer Carey.